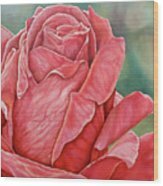 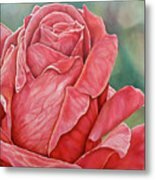 Highly realistic painting of a red rose. Dramatic composition with strong diagonal, playing the cool colored background off the warm colored rose. 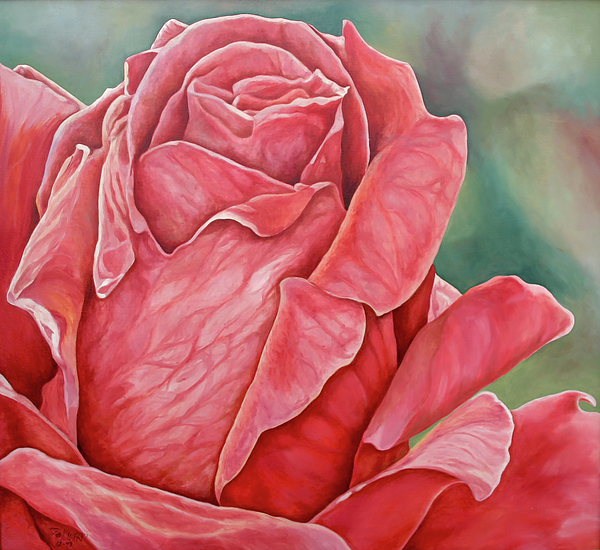 Good detail and highly realistic, but still painterly. 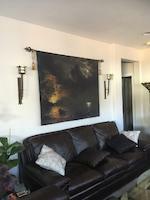 The painting was completed in 1993 and is part of a private collection. 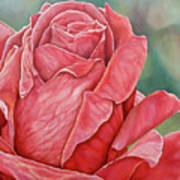 This is the first time the painting has been offered as a print.